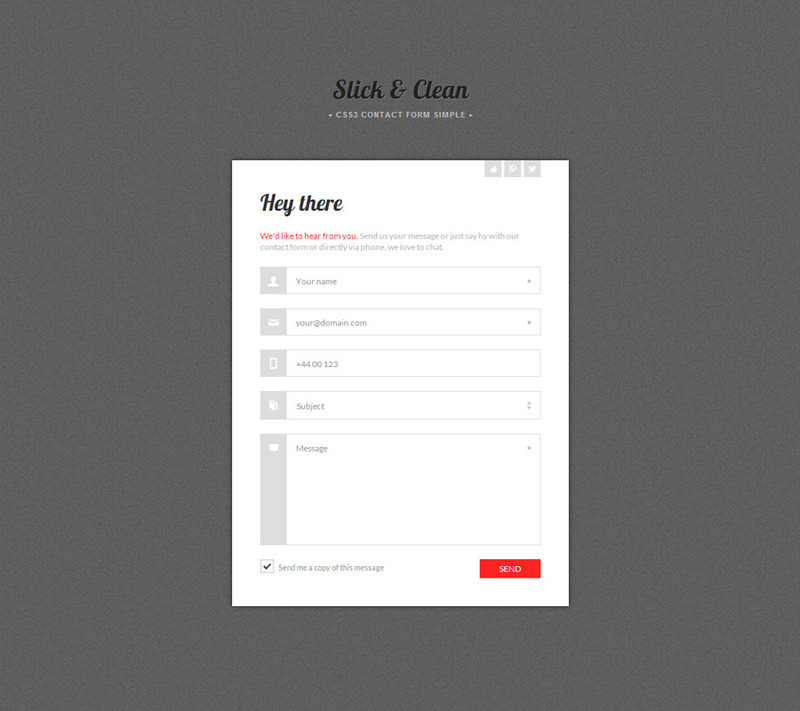 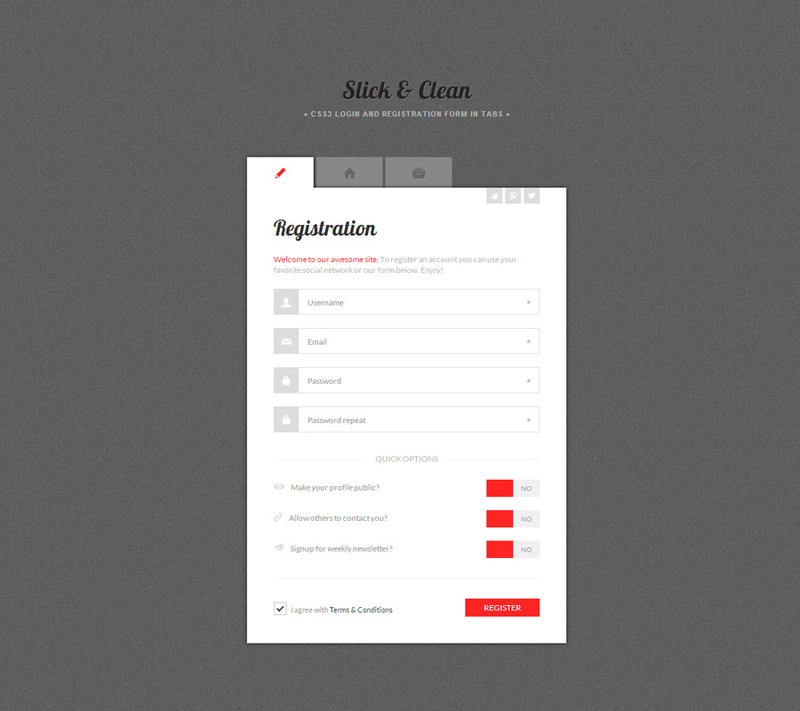 Slick & Clean – HTML5 and CSS3 Responsive Forms are made to be easily installed, modified and customized to fit your needs along with flexible styling options. 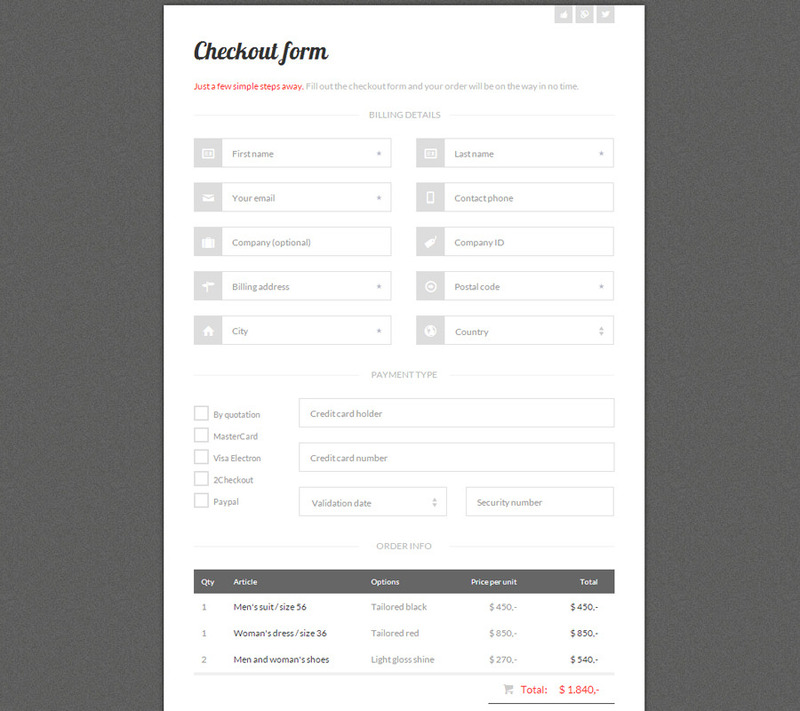 The pack contains 14 HTML5 and CSS3 Forms layouts for a quick use with 28 different setup’s. 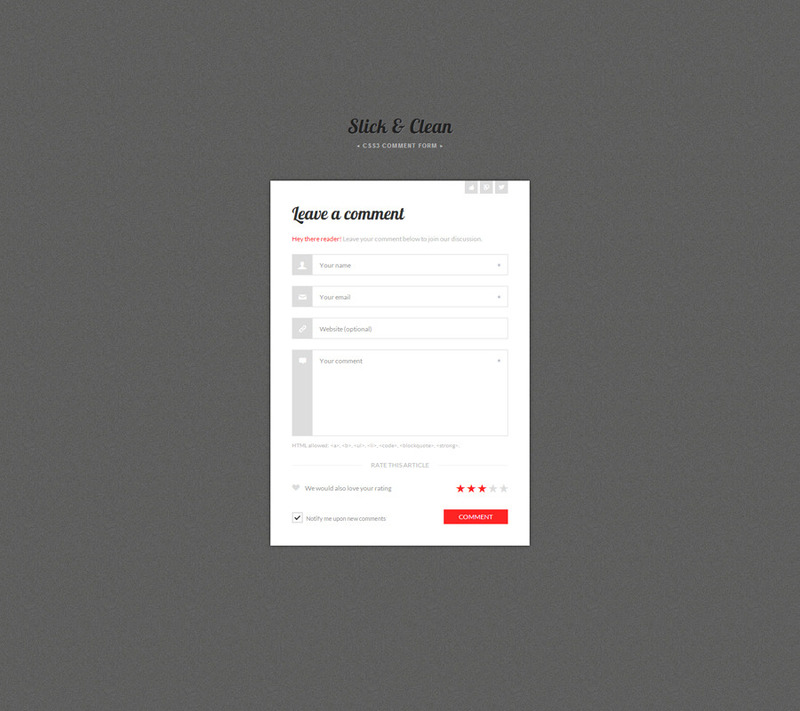 Contact us for troubleshooting – we’ll help in no time.